"Sampath Speaking" - the thoughts of an Insurer from Thiruvallikkeni: DK to play tests after 8 years ~ Ivanka Trump's chinese tweet !! DK to play tests after 8 years ~ Ivanka Trump's chinese tweet !! IPL 2018 is over ~ and India is to give chance to Afghan making its Test debut – the irony was hard to miss when veteran Harbhajan Singh was snapped up by Chennai Super Kings to fill in for local star Ravichandran Ashwin. .. .. .. and Bhaji started tweeting in Tamil. 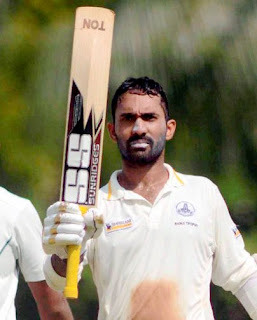 Now the news is about Dinesh Karthik who made his debut before mercurial MS Dhoni (Tests 2005 – 2014). DK last played a test 8 years ago – read in Cricinfo that in Chennai four years ago, in a Ranji match against Railways, Tamil Nadu had conceded a first-innings lead and were fighting to stay in contention for a Ranji Trophy knockouts berth when Karthik, then playing as a specialist batsman, was told of MS Dhoni's sudden retirement from Test cricket. In TN’s next match, Karthik took the gloves, which meant that designated stumper U Sushil had to be left out. While the team management explained this decision as being down to "tactical calls" and "strategy", the move is said to have caused a hint of friction in the Tamil Nadu camp. Karthik had lost his place to MSD and upon his retirement Wriddhiman Saha egged him out – now Saha’s injury has given him a golden opportunity to be back in Test. Incidentally he last played a Test at Chittagong in Jan 2010 alongside Gautam Gambhir, Sehwag, Dravid, Tendulkar, Laxman, Yuvraj singh, Amit Mishra, Zaheer Khan, Ishant Sharma and Sreesanth – none of them are playing Test Cricket now ! Not sure, how much of tweets you read daily – those little messages of 280 characters (14o earlier) do create storm sometimes, though many a times, meaningless ones followed by a couple of thousands get reported in news headlines as people reaction !! Users access Twitter through its website interface, through Short Message Service (SMS) or mobile-device application software ("app"). Twitter, Inc. is based in San Francisco, California; was created in March 2006 by Jack Dorsey, Noah Glass, Biz Stone, and Evan Williams and launched in July of that year. Ivanka Trump is an American businesswoman, fashion designer, author and reality television personality. More than everything else she is the daughter of the President of the United States, Donald Trump, and former model Ivana Trump. 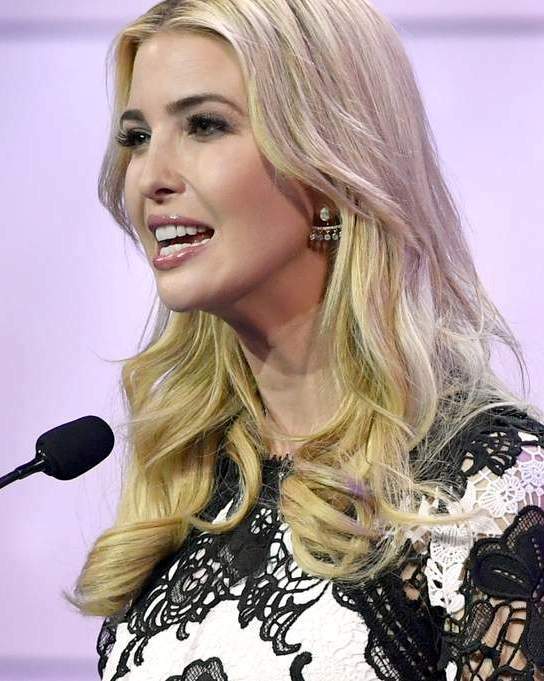 Ivanka is her father's senior advisor and is also the first Jewish member of a First Family, having converted after marrying her husband, Jared Kushner. Trump is a fourth generation businessperson who followed in the footsteps of her great-grandmother Elizabeth Christ Trump (who founded the company), grandfather Fred Trump, and father Donald Trump. She hits the headlines quite often. In US, Democrats on the Senate Intelligence Committee want to interview White House advisor Ivanka Trump as part of the committee's investigation into Russian interference, according to a Buzzfeed article published Tuesday. A representative for Ivanka Trump did not immediately respond to a request for comment. Wyden's chief of staff and communications director were not immediately available to comment. President Trump's daughter and son-in-law have continued to invest heavily and trade in real estate. Ms Trump reportedly earned $3.9m from a stake in Trump International Hotel and more than $5m from her personal brand. The figures came in ethics disclosures released by the White House late on Monday, as Mr Trump was away on his widely reported trip to meet North Korean leader Kim Jong-un. This time the hype is all about the tweet – of Ivanka Trump who perhaps will have to double check her sources the next time she tweets, after a message about a ‘Chinese proverb’ led to a frantic - and unsuccessful - search to find its origins. President Donald Trump's daughter and White House senior adviser posted the message to her Twitter account just before President Donald Trump’s historic summit with North Korean leader Kim Jong-un. She wrote: “Those who say it cannot be done, should not interrupt those doing it,” attributing the quote to a Chinese proverb. The only problem? It doesn’t appear her tweet actually derived from ancient Chinese scriptures — rather, it may have originated in the United States during the early 1900s. Ms Trump’s tweet to her over five million followers sent countless users on the popular Chinese social media platform Weibo and US-based forum Huaren down digital rabbit holes, along with researchers at numerous news outlets. After hours of searching, it appeared no one had located the original proverb, as multiple experts and historians of East Asian cultures told The Independent they could not confirm its authenticity. “Nothing immediately comes to mind,” said Moss Roberts, professor of East Asian studies at New York University. “Somewhat related is the description of Confucius: ‘He knows it can't be done, but he keeps trying to do it all the same.’” Chen Gao, senior Chinese language lecturer at New York University said that the post led to plenty of jokes from China.